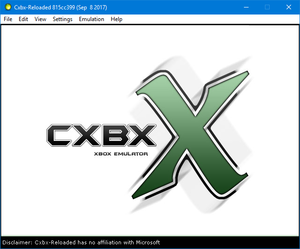 This article is about the emulation of a console on PC. At present, a reliable emulator of this console has not been released. Be wary of any downloads claiming to be such. Not intended for general use yet; very few games are playable. Source is based off QEMU, a full system emulator/virtualizer. Updates are extremely infrequent (last commits were made back in May 2017). This page was last edited on 10 September 2017, at 09:59.